Enjoying the fruit of our labor (and also the labor)! In recent days I've been working almost nonstop on the Mexico City Experience, which starts December 28th. All that nonstop work means Mike and I have been having fun almost nonstop as well. 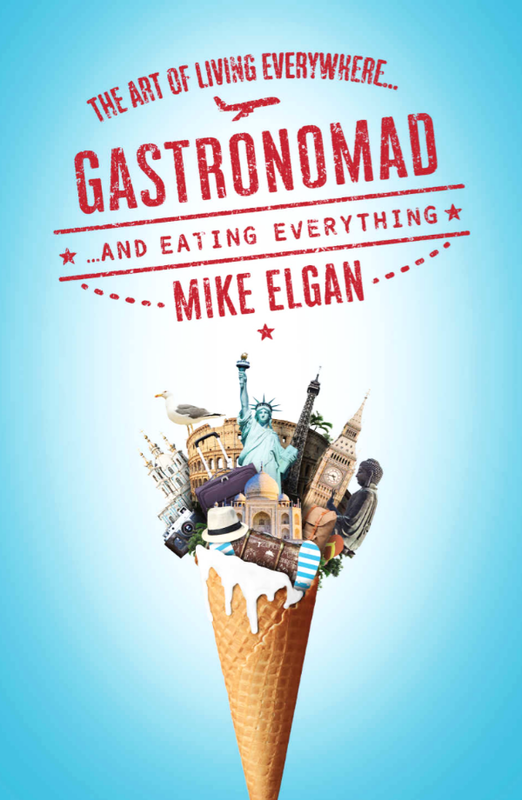 I created the Gastronomad Experiences to share my passion: Finding food visionaries, tasting everything and deeply understanding every local food culture wherever we roam. That I'm able to do this is the result of what can only be described as: luck. I'm lucky. We're lucky. And I'm filled with gratitude for it. I wrote an article on my Spartan Diet blog about how I try to cultivate the life I want to live based in the wonderful concept of ikigai (which roughly translates to the realization of one's purpose). It's really our philosophy of life and what drives us. Sometimes I feel guilty that we get to experience so much joy. Of course, our lives also contain big helpings of adversity and sadness. This is universal. But there is also so much joy. I often wake up and realize where I am. (This morning, I realized I was in Mexico City.) And when I realize this, my heart is immediately filled with gratitude for the privilege of living in so many wonderful places. We've been traveling for more than 12 years. That may seem like a long time. But the more we explore this beautiful planet the more certain we are that we never want to stop. What is life but the sum of one's experiences?